CBS Watch Magazine. . HD Wallpaper and background images in the Michael Weatherly club tagged: michael weatherly cbs watch magazine. 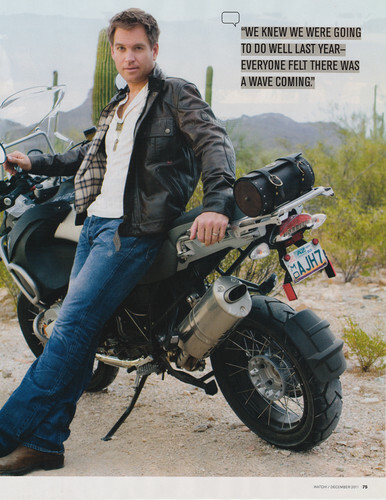 This Michael Weatherly photo contains motorcycle cop, motorcycle policeman, speed cop, motorcyclist, and motorcycling. There might also be motorcycle, bike, motor scooter, and scooter.